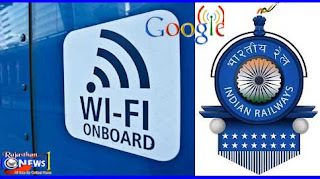 PUNE: After bringing millions of Indians online with its RailTel Wi-Fi project, Google, in partnership with Larsen & Toubro, on Wednesday announced that the company has installed 150 "Google Station" hotspots in Pune. The development is part of the Pune Smart City Development Corporation Limited's "Smart City" project and this is the first time that the company is deploying "Google Station" - a localised captive portal that enables the connection to public Wi-Fi - outside of the railways. "We built Google Station to be both the highest-quality and easiest Wi-Fi service for users and the easiest for partners to deploy. We think this makes 'Station' a great connectivity partner for the growing number of Indian smart cities," Vinay Goel, Product Management Director of Google Station, said in a statement. The company said the move would potentially bring three million Pune residents online within seconds at locations all around the city, including gardens, hospitals and police stations. Nearly, 7.7 million users benefited at over 270 railway stations through Google's RailTel Wi-Fi project last year. Google launched its first free Wi-Fi services at Mumbai Central station in January 2016. The company said it would continue to deploy high-speed Wi-Fi at more stations across the country.